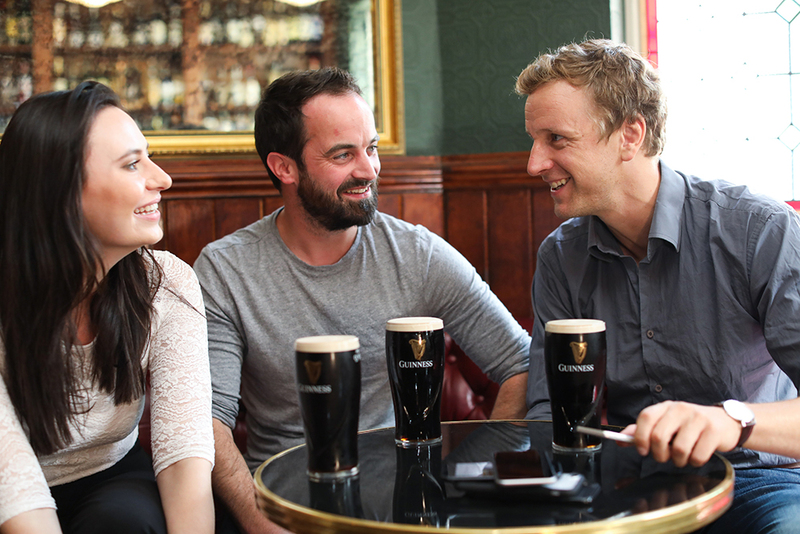 This September, Guinness, together with the publicans of Ireland, is celebrating the magic of quality catch ups with friends in the pub with a new initiative called ‘Switch to Pub Mode’. 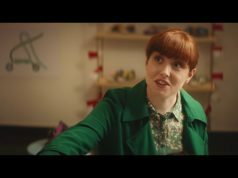 To coincide with the launch, Guinness carried out a study which delved into the impact of phone use on a night out with friends. The compelling research found that, despite the reliance on our phones and the extent to which we value them, when we meet up with friends and put our phones down, we have a better night out with 94% stating that they enjoyed a night out as much or more without their phone in stark contrast to just 6% of people enjoying a night more with their phone in use. The study conducted by Behaviour & Attitudes, explored the quality of a night out with friends on two consecutive Thursday nights. The one small yet significant change on the second Thursday was that the groups of friends were asked to put their phones down while everything else remained the same – the same night of the week, the same time, the same pub, the same people, even the same bar staff. The results showed a dramatic positive shift on the second Thursday when phones were not in use. On the first night when phones were freely in use, people were asked to rate their experience on the evening in the pub and were then asked the same questions the following Thursday to compare their experience. The scientific evidence also showed that as well as a substantial increase in enjoyment with their friends, people who put their phone down also felt more included in their group (18.4% positive shift) and another notable impact was that people felt closer to their friends as a result of putting their phones down (9.6% positive shift). Speaking today, Annmarie Phillips, On-Trade Channel Director, Diageo said; “‘We all rely on our phones to organise meeting up with friends and have fun recording our nights out and there is no doubt that our phones are extremely useful devices. The study provides fascinating insight into our relationships with phones in social settings and the phones’ impact on the social group dynamic. Switching to Pub Mode is about enjoying those conversations with good friends and letting the chat flow for that little bit longer with your phones down and heads up. The research demonstrates that people certainly enjoy the night more when we give our phone a rest!”. Donall O’Keeffe, CEO LVA commented; “The pub is the ultimate social network where you can catch up with your family and friends in person and where our warm welcoming atmosphere allows great conversation and great fun. Sometimes though, phones can get in the way of a great chat. It’s clear from conversations we have been having with publicans and bar staff that there comes a point when the phone can become too much of an unnecessary distraction from the people you’re with. When you’re having a great chat over a pint with some friends, it’s certainly more enjoyable to be free from other distractions for a while”. 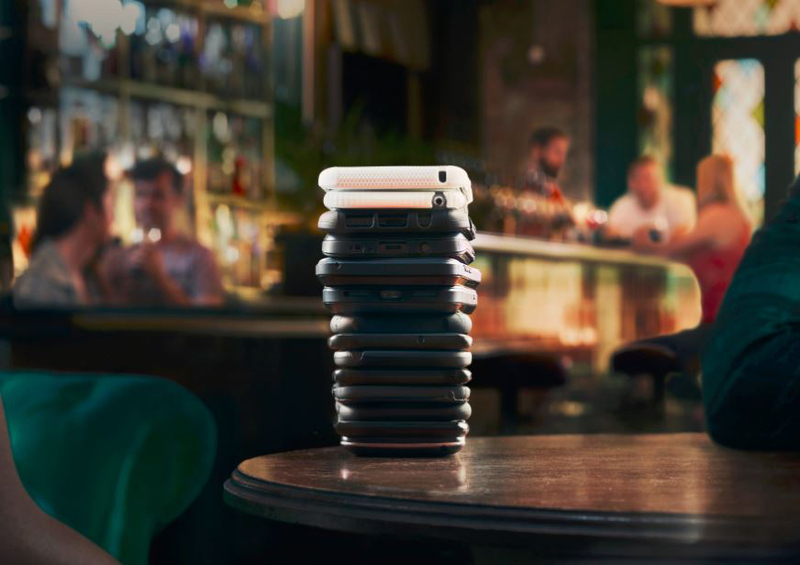 Across the participating pubs, Guinness will roll out specially created ‘bean bags’ for phones as well as ‘phone stackers’ because phones need a break too!